Easy deployment. Big, scalable possibilities. Speed time-to-value: Deploy infrastructure up to several thousands of users quickly and easily. Start with one appliance for a pilot or a small group, and scale quickly to meet your organization’s needs. Do it yourself: Install and easily deploy virtual desktops in as little as two hours. Easily add more appliances to increase the number of users. The Dell-developed ‘quick start tool’ helps make it possible for people who support PCs today to deploy and scale VDI themselves. Preconfigured & easy to order: Select the number of user licenses and order with confidence. All of the appliance-related software is included, so there’s nothing extra to specify and purchase. Your own cloud: Increase security and reduce administration time by forgoing public cloud services. Your Wyse appliance is hosted onsite and under your control. Seamless with Dell: The appliance works with all Dell endpoints, including Wyse and Chrome products, as well as with any Citrix XenDesktop-compatible endpoint. Predictable scale: Grow your deployment by simply adding more appliances to match the number of users, without "rip and replace". Empower your organization by allowing them to securely access data and applications with any device, from anywhere with the Dell Appliance for Wyse – Citrix. Start with a single appliance, providing your organization with as many as 340 shared sessions or 245 virtual desktops with Citrix XenDesktop ®, and expand predictably to as many as 5,000 and watch your organization’s productivity grow. High-value VDI tailored for smaller organizations. 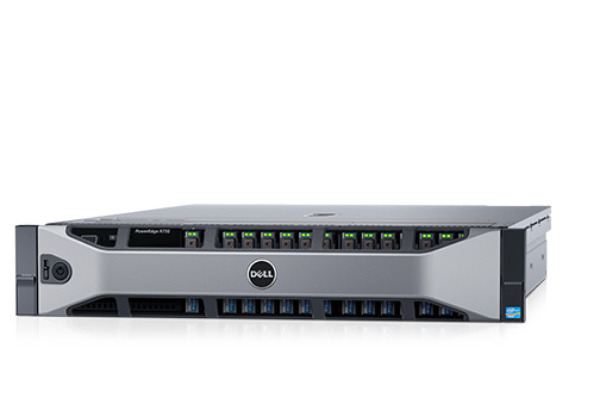 Powerful: At an affordable per user cost, the Dell Appliance for Wyse can run XenDesktop for up to 340 shared session users or 245 desktop users on a Dell PowerEdge R730 server, the best-selling server for VDI. Simple: Two configurations – Large and Small/Pilot – provide standalone VDI for a pilot or smaller workgroup. When scaling, the Small/Pilot configuration becomes the management server and you simply add the number of Large servers needed to accommodate your users. These changes are completely supported by the Dell ‘quick start tool’, which is custom-designed for the appliance lets you deploy your appliances and add new ones easily, with only IT admin skills needed. Secure: Let your users work offsite with their own devices while the data and applications they use remain safe and secure on your premises. The Wyse solution helps you maintain regulatory compliance and the privacy of your data and lessens concerns about lost laptops or other data breaches. Using Chromebooks? We’ve got you covered. Use Windows applications – including the entire Office Suite - with the Dell Appliance for Wyse - Citrix. One appliance can deliver Windows apps seamlessly to 340 Chromebooks or any other compatible tablet or other mobile device. Use the software you know and love on the device you prefer. Includes deployment scripts packaged as a "quick start tool" to step user through appliance deployment. One appliance. A single stand-alone appliance is used as both as a compute node and a management node (all-in-one single node). Adding more appliances/users. When adding more users, a Small/Pilot appliance must be dedicated for use as a management node while additional Large appliances are added to accommodate the desired number of users. Optional high availability (HA). Once the deployment has been completed with the Dell quick start tool, high availability (HA) can be deployed manually for the management layer by adding a second management server (small appliance) that is manually configured in a failover cluster, with the management VMs residing on shared storage such as an EqualLogic or Compellent array. For redundancy in the compute layer, simply follow an N+1 model to allow additional compute nodes to provide capacity in case a rack appliance fails. Additional configurations. The appliance may be optionally configured as a custom configuration, with a selection of hardware options (SSD’s, CPU, memory) for advanced deployments.